Aligarh Muslim University uploaded the Hall Ticket on the university official website. 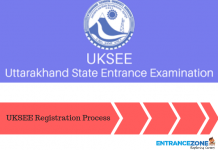 The AMUEEE 2019 Admit Card contains information about the exam day, date, timings, and details of exam centre, candidate’s particulars and other exam related instructions. AMU will issue the AMUEEE Admit Card 2019 available now. Moreover, only the candidates who registered and submitted their application form for AMU Engineering Entrance Exam 2019 can avail the Hall Ticket. Latest Update: The registered candidates can download their AMUEEE admit card 2019 by logging in with their username and password now. And, the candidates need to produce their hall ticket along with ID proof in order to appear for the entrance test. Moreover, the applicants will not get the permission to appear in the test without the admit card under any condition. 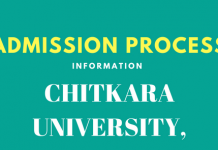 Download Admit Card of Various Course (2019-20) and also know your form application number Here. How to Download AMUEEE 2019 Admit Card? Firstly, applicants need to visit the official page of the Aligarh Muslim University Entrance Exam. Then, log in to the account through the username and password. Further, the admit card of the registered candidate will be shown on the screen. Candidates must check all the details carefully. And, then click on “Download” button. Also, applicants should take a printout of the same. Finally, keep the soft copy as well as a hard copy of the hall ticket safely. Applicants can download the AMUEEE admit card only by logging into their account through the username and password on the university portal. And, it is essential to preserve the hall ticket till the completion of admission procedure. Also, no candidate can sit for AMU Entrance Exam without producing the admit card on the exam day. Moreover, the applicant has to paste a recent passport size photograph (colour) in the space given in the hall ticket. Finally, the university will upload the AMUEEE 2019 Admit Card for successfully registered candidates only. In the case of any discrepancy, Please email on [email protected] quoting your Transaction ID, Name, Telephone No., and Course. Also, candidates must bring one extra photograph (size:2.5X3 cm) to paste it on the attendance sheet. If the candidate has applied for a Course on more than one Transaction ID, use only the one ID. amu controller, AMUEEE 2019 Admit Card, amu login 2019, amu admit card, amu admit card 2019, amu b tech admit card 2019, amu admit card for b tech entrance, amu admit card check, amu admit card class 11th, amu admit card 2019 class 11, amu admit card class 11th 2019, amu phd admit card 2019, amueee 2019 application form.